The former side of El Soto Deli & Grocery at 1649 S. 15th Street. A sit-down restaurant has been proposed for the location. 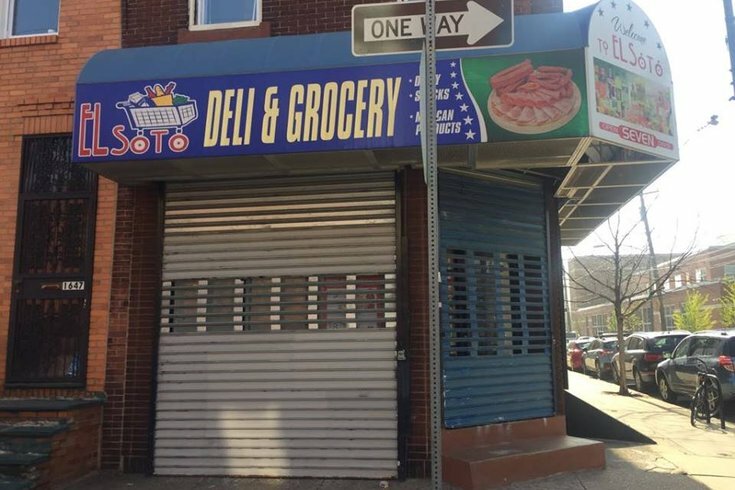 A developer hopes to bring a sit-down restaurant and apartments to the former site of a deli in Point Breeze. According to a letter distributed to neighbors last week, the proposal calls for a restaurant and a two-family dwelling upstairs at 1649 S. 15th St., the previous home of El Soto Deli & Grocery. El Soto, which serves fresh meats and produce as well as grocery items, has since moved a block down to 1500 Tasker St. The restaurant proposal received two automatic refusals from the Department of Licenses and Inspections in March because both the restaurant and the apartments are prohibited in the zoning district. It's unclear what type of restaurant the developer, Philly Investment Properties LLC, wishes to bring to the location. A call to the company's attorney Friday afternoon seeking comment wasn't returned. Near the Tasker-Morris station on the Broad Street Line, the location is surrounded by a handful of other casual sit-down eateries on the west side of Broad, including Hardena, Los Cuatro Soles and South Philadelphia Tap Room. A public meeting to discuss the project will be held by the East Point Breeze Neighbors Association on May 9 at 6:30 p.m. at the South Philadelphia Library, 1700 S. Broad St.